At Lightning Services we can service your bike, regardless of the make or model. 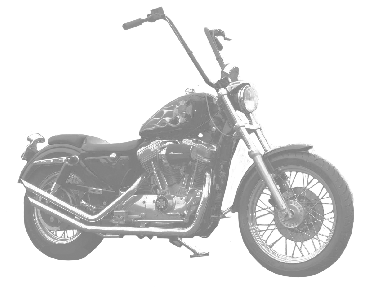 We offer specialist Harley Davidson servicing in Chippenham and the surrounding area, but we service all bikes, from AJS to Zundapp - from 1903 to 2-0-1-3. We offer Fixed Price Menu Servicing for most makes and models, Harley and Buell included, in and around Chippenham, Trowbridge, Bath and surrounding areas. Our service options mean that you know what work we are going to do for you, and what you are going to be charged. The options meet most owners' requirements, but if your bike's service requirements fall outside the categories found below, then it can still be serviced here on a time and materials basis. Because we use only high quality consumables from the likes of Rev Tech, Eurol, Fuchs Silkolene, K&N, NGK, Hi Flo, Fram, Perform and Filtrex as well as OEM parts where deemed appropriate, a service at Lightning Services will ensure that you keep your motor running as you head out on the highway. Our up to date Vehicle Diagnostic Scan Tool System from Techno Research is the same system that is branded by many major manufacturers as their official diagnostic scan tool. Using this system means that we can offer riders of the latest models full backup with the ability to Read and Clear Engine Control Unit (ECU) Diagnostic Fault Codes and Perform Active Tests on Tachos, Injectors, Coils etc as well as offering Data Logging to help diagnose intermittent problems (NB not all functions are available on all makes/models). As a Registered and Licensed Hazardous Waste Producer, we protect the environment by conforming to waste oil disposal best practice. In order for us to do this in line with current legislation, a charge of £2.50 plus VAT is levied on each service to cover the cost of responsible disposal of waste fluids and filters. For information on the costs of Harley Davidson and Buell motorbike servicing, please click on the relevant links to the left. For costs of other makes of motorcycle, please see the information below. N.B. : Brake fluid, air filter, brake friction material (pads/shoes), bearings and tyres will be charged for as additional costs should they require replacement unless detailed in the schedule. For detailed information on what each service includes, please get in touch with us at Lightning Services in Trowbridge, using the information on the Contact page. Click below for information on Harley or Buell servicing..